5th edition of IFD FAKRO Winter Olympics is already behind us! It was already for the fifth time that Muszyna hosted participants of IFD FAKRO Winter Olympics. Guests from 11 countries took part in the jubilee edition of this event. The main organizer was leading manufacturer of roof windows in the world – the FAKRO Company. Honorary patron was IFD (International Federation for the Roofing Trade). Muszyna was visited by representatives of the roofing trade from Great Britain, France, Belgium, Germany, Slovakia, Hungary, Romania, Lithuania, Netherlands, Czech Republic and Poland. Traditionally, the competition was graced with the presence of IFD Management Board and a group of journalists from the trade press from Hungary, France, Belgium, Czech Republic and Poland. 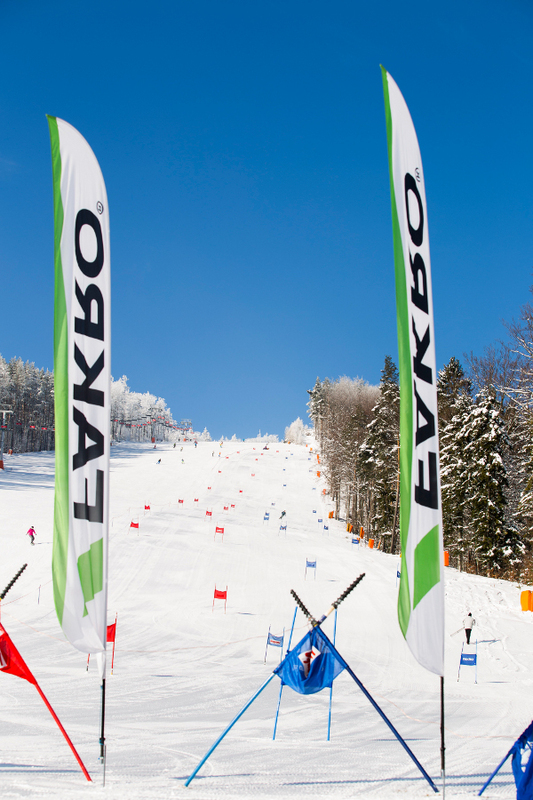 Sporting competitions were held on the toboggan-run in Muszyna and on the slope of Jaworzyna in Krynica-Zdrój. Beautiful, sunny weather warmed not only a large crowd of participants but also heated emotions on the slope. Participants ambitiously competed in skiing, snowboarding and tobogganing. Winners of the contest came from Slovakia, Romania and Poland. Team from Slovakia I won the first place in team classification, second place went to Germany I and the third to Poland I.
IFD FAKRO Winter Olympics is not only an excellent opportunity for sporting competition between professionals from the roofing sector, but also forum for discussion and exchange of experience among widely represented roofing environment. Picturesque area of southern Poland as always charmed all the participants. Foreign and Polish visitors found their stay in Nowy Sącz region very enjoyable. Regardless of whether they appeared in the role of competitors or fans, they were impressed by the charm of this region, hospitality of the event hosts and impressive leisure facilities available in Activa Hotel in Muszyna. - Very interesting and professionally organized event. A warm and friendly welcome, therefore we would love to come back. We have made numerous friendships with participants, both in professional and social level - say French journalists Sophie Bovillard from Planète Bâtimant and Stéphane Miget from 5 Façade. - Extraordinary winter landscape, just as I imagined, I am willing to come here again – adds Ingo Dubielzig from Germany. - In turn, Aldas Abramaitis from Lithuania said that he enjoyed the most the giant slalom and associated sporting events. IFD FAKRO Winter Olympics is the event that became a permanent fixture in the calendar of roofing events and perfect form of integrating the roofing environment thanks to numerous attractions and meetings in the international circle.